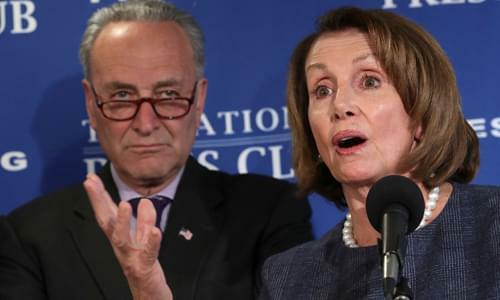 On Thursday’s Mark Levin Show, The most immediate threat we have in America today isn’t Iran China, or Russia, it’s the modern Democratic Party! They want to destroy whatever unity we’ve achieved with reparations. They want to destroy our sovereignty by subverting our immigration laws with sanctuary cities. They seek to destroy our healthcare system. The Democratic Party is a wrecking ball. Who’s rooting for the Democratic Party? Our enemies. Is America really so bad that we need a party like this? Some say the Democrats led the civil rights movement, but it was African Americans that led this movement to defend their Constitutional rights and they did it from their churches. It was people of deep faith and conviction that brought about change not some federal bureaucracy. If we leave it to the democratic socialists they will destroy whatever aspect of our lives that they cannot control. Just imagine how far they’d go if they had total control. Later, high paid athletes earning hundreds of millions of dollars are rarely attacked by Bernie Sanders, Kamala Harris, Cory Booker, and the others. They always critique corporate CEO’s for earning that kind of money, but athletes are off the table. Afterwards, the attack on Prime Minister Netanyahu continues despite his record of achievement.